There are a variety of alarm systems that can be installed into private residences. 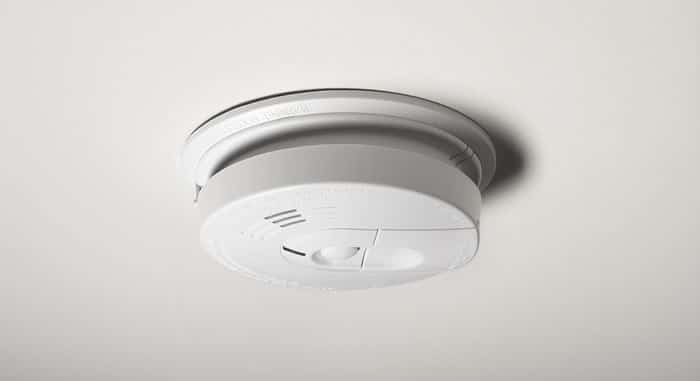 From smoke and fire alarms that can be monitored remotely to medical alarms and panic buttons to alert the property authorities during an emergency, we can install a home alarm system to meet your specific needs. ProActive Integrated Security Ltd. is a full service home alarm security system company serving Greater Vancouver and the Lower Mainland. We specialize in the installation of several different types of home alarm systems designed for safety and security. We offer systems that can be hard-wired into a location or operate remotely via any smartphone or tablet. There are a variety of home alarms and detectors that we can install in your home to improve the safety and security of your loved ones and important possessions. The alarms and detectors can even be remotely monitored and controlled through your phone, tablet or desktop computer. Do you have a loved one who insists on independent living and may not have immediate help around should they need it? We offer a medical alert system that is wireless and waterproof and is monitored 24/7 by our monitoring station. When the button is pressed our team will dispatch medical help immediately and notify the appropriate contacts. We sell and install fully monitored panic button systems either hard-wired into a building, under a counter, or in discreet locations and we also offer wireless systems as well that can be activated via smartphone or tablet. When the panic button is pressed, authorities are dispatched immediately. These systems offer another level of safety for those that work in potentially dangerous situations or live alone and want this reassurance. When you choose to place your home alarm system installation into the hands of ProActive Integrated Security Ltd. you’re partnering with a local team of dedicated and knowledgeable technicians who take the safety and security of your home very seriously. You can count on the alarm systems we install to be there for you 24 hours a day, 7 days a week, 365 days a year and if you have a problem or concern about your system we offer 24/hour emergency services and 24/7 system monitoring as well. We might not be the biggest security company around, but we are certainly one of the best! If you’d like to request an estimate for home alarm system installation from ProActive Integrated Security Ltd. please give us a call (604) 522-2121 or fill out our contact form and someone will get right back to you.